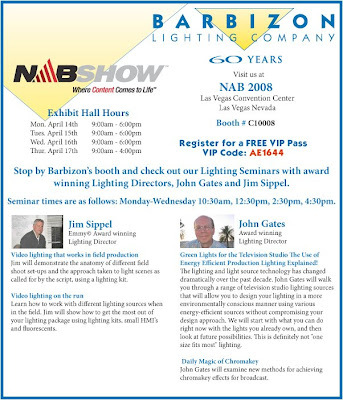 NAB starts one week from today and Barbizon will be there ready to show everyone the latest in lighting, grip and accessories for broadcast and film. Jim Sippel and John Gates will be on hand doing helpful seminars and as always, there will be M&M's! !